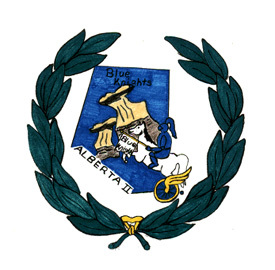 The Alberta ll Chapter of the Blue Knights was established in 1984, consisting of Correctional Service Officers of the Drumheller Institution. Since it's beginnings, two other Chapters of the Blue Knights have been established by members at large, from Correctional Officers of the Bowden Institution which formed the Alberta l Chapter. Also, Alberta lll Chapter was established by members at large from the Medicine Hat Police Force. Over the years the members of Alberta ll have raised funds for, The Wish Foundation, Stars Air Ambulance, and have held a yearly Christmas Toy drive for the Salvation Army. Members have supplied transportation for the Lions Eye Bank, for the Eye Transplant Hospital in Calgary, AB. The remaining members of the Alberta ll Chapter are in the process of amalgamating with the Alberta l Chapter. 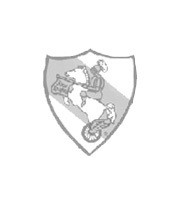 Annual rallies that members participate in are; the Tri-Provincial run to Jasper, AB, the May 24th Pie run to Linden, AB. To all Blue Knights, Drumheller has a large selection of tourist attractions. If you happen to find yourselves in the area, be sure to check out; the Royal Tyrrell Museum, (which is the largest Dinosaur Museum in North America), Altas Coal Mine Museum, World's Famous Badlands, Horeshoe Canyon, our famous HooDoo's, Suspension Bridge, Hover Craft Tours, and much more. Ideal biking on the Dinosaur Trail, excellent scenic route to take to find many other points of interest. 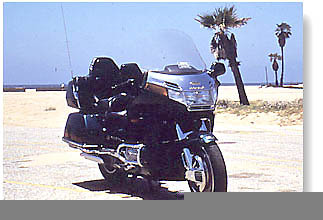 While Cycling through my Web page, please take a short pit stop to sign my Guestbook.